IPCC now IOPC – what’s in a name? Don't wish to use the app? Log into the web friendly version. Once you have registered, you have the opportunity to submit pre-event/live questions. The team will endeavour to answer as many of these questions as they can at the conference. To submit your questions, please log into the Delegate Area or PolFed App, and go to Panel Questions in the menu. Courtesy of Livestream.com. Systems with specifications different to those listed below may still be able to play the live stream and video on demand. 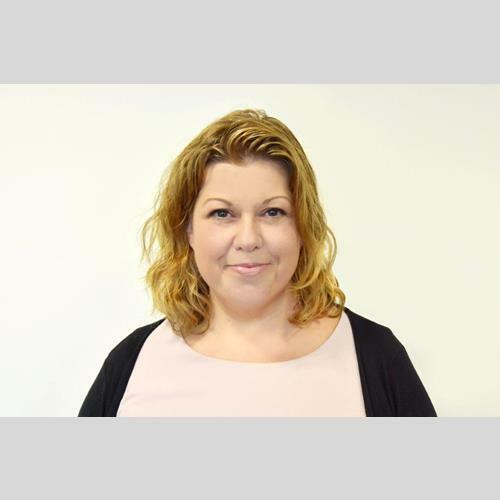 Hayley Aley joined Warwickshire Police as a constable in 2000, having 17 years' experience in varied roles including Response Officer, Sexual Offences Liaison Officer, Vulnerable Victim Interviewer, Tutor Constable and Assessor. She became a Federation representative in 2008, having become the Warwickshire Federation lead on Equality in 2010. Hayley was elected to the National Board of the Police Federation of England and Wales in 2014, and also became a national representative for the Women' Reserve seat. 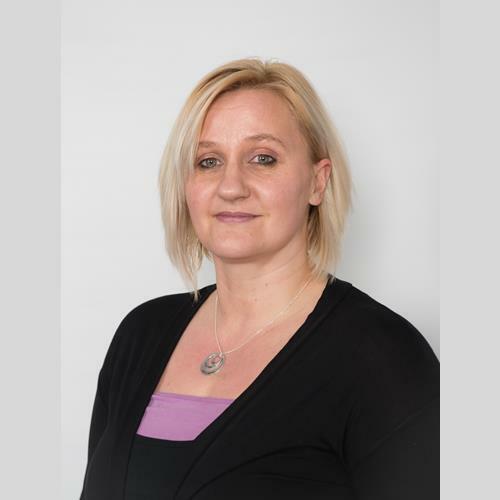 Hayley became the Federations Equality Chair, where she led many seminars/stakeholder events to benefit key issues facing officers including adjusted duties, fitness testing, and national guidance on flexible working. 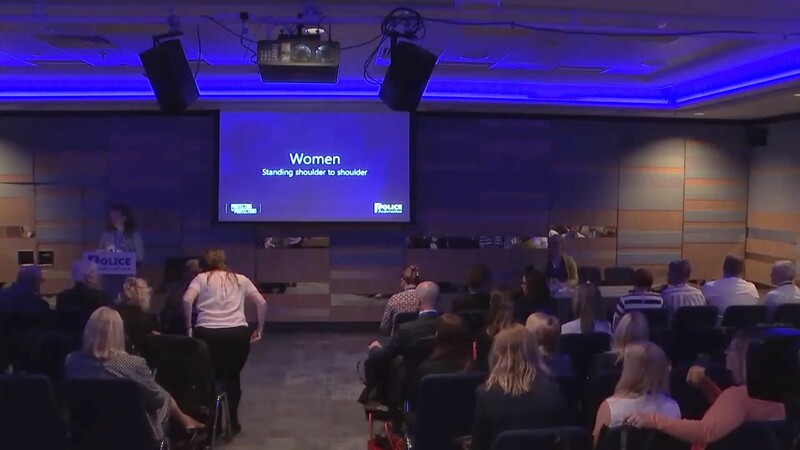 In 2016, Hayley was elected Equality Lead for PFEW where she leads on a number of key pieces of work including the Reps@Work campaign, equality monitoring and proportionate representation, as well as strategic progression of all equality and diversity areas of business for PFEW. 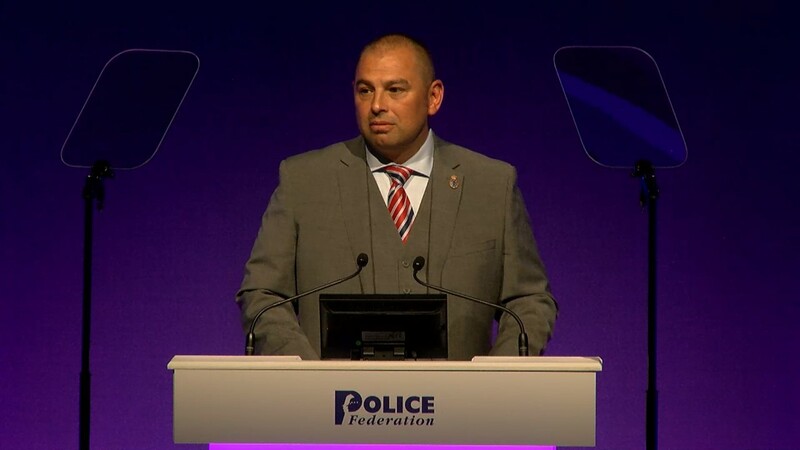 Dave is the PFEW’s national lead for Professional Development and the national PFEW lead on issues related to the College of Policing. As part of his role he sits on numerous official boards representing the voice of the federated ranks. Dr Fran Boag-Munroe is a leading researcher within the Research and Policy department. 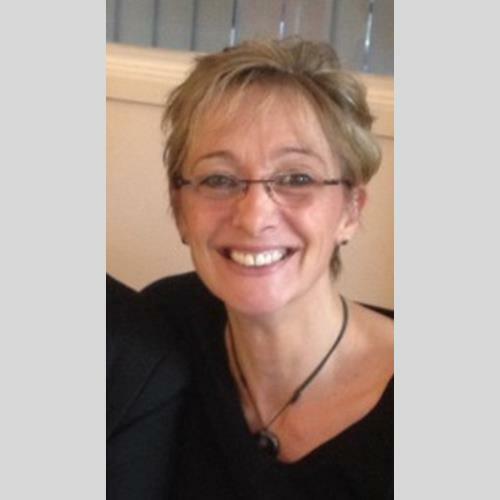 Prior to joining PFEW, Fran has a background in organisational psychology, and Human Resource Management. Fran has been instrumental in setting up the PFEW flagship Through career research, aiming to track officersâ?? expectations and motivations from cradle to grave in their career. Franâ? ?s work has been picked up and quoted in numerous press articles, and by senior politicians. 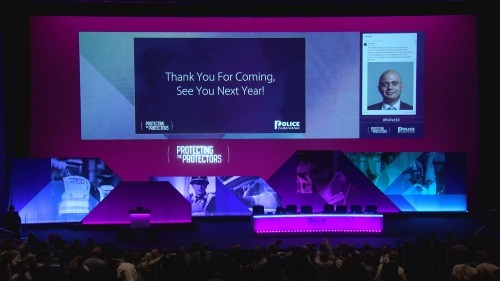 It has been published in a number of academic journals and conferences, enhancing the reputation of the PFEW as an evidence driven policy organisation. Chris Bryant is a British Labour Party politician who has been the Member of Parliament for the Rhondda since 2001. He was Minister for Europe and Deputy Leader of the Commons under the last Labour Government, and has most recently served as Shadow Leader of the House of Commons. 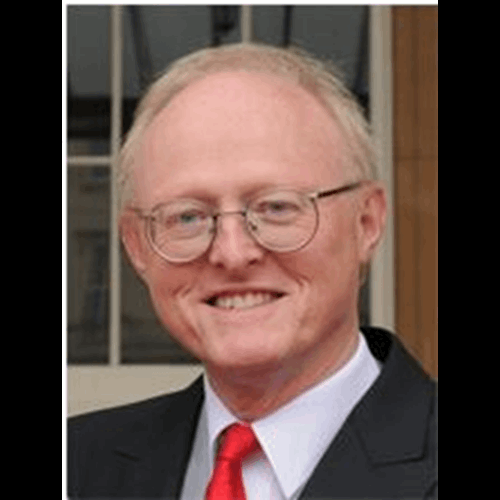 He was one of two leading MPs who fought to expose the phone hacking scandal at Rupert Murdoch’s News International and has penned several successful books, most recently on the history of parliament. Chris is a fluent Spanish speaker and Europhile and is actively involved with the Spain and Latin America parliamentary groups. Before entering parliament he was a priest in the Church of England. He now chairs the All Party Parliamentary Group on Acquired Brain Injury. Annita joined Bedfordshire Police in 1989. Since this date, she has strived to make people safe and to ensure those she works with achieve their highest potential. She joined the police service with strong values and they have remained true to this day. Annita became a qualified police trainer, an accredited mediator, a crisis/hostage negotiator, an initial tactical firearms commander and used her experience and patience to coach and mentor her colleagues. 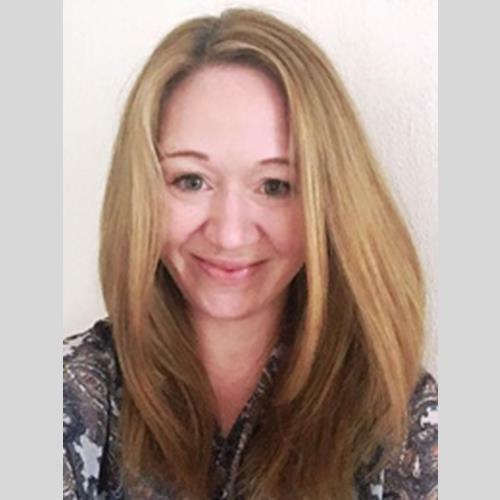 Throughout her service, she has worked to foster links with the community, believing that in order to develop a safer community it necessitates an interconnectivity. To allow for immediate care to be provided to the vulnerable victims of distraction burglary, Annita has forged links with the British Red Cross who are providing excellent immediate care to those in need. Annita has climbed the ranks and is now an Inspector. She continually identifies others with leadership potential and mentors them on their pathway to success. In 2013, she was voted both National and International Police Officer of the Year. Only the third time that the UK has attained this award. In 2014 Annita completed an advanced diploma in coaching and mentoring practice which cemented her desire to enter into this field of both study but also eventually, to practice within these fields. She has passed a Masters Degree. Simon became Chief Constable of Leicestershire in June 2010 and has worked on various national portfolios. In 2012 he became chairman for the NPCC Local Policing and Partnerships Coordinating Committee. He leads the Digital Public Contact Board and sits at the National Police Reform and Transformation Board. 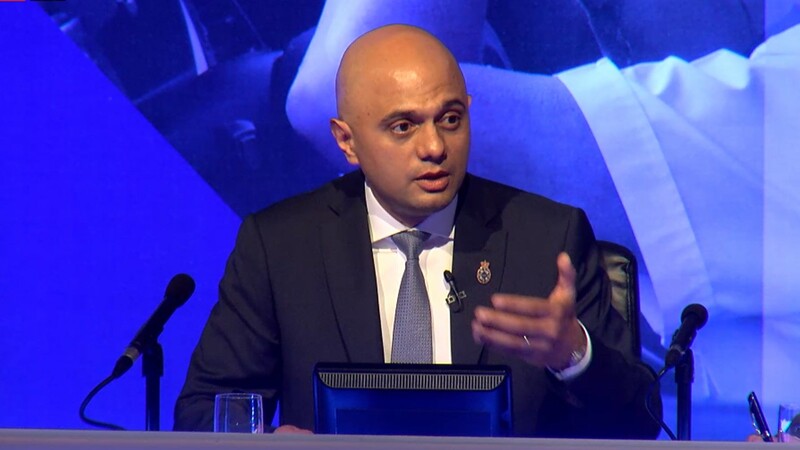 In 2015 Simon was asked to lead work for the NPCC on the Prevent strategy to counter radicalisation, and on the collaborative opportunities available through the procurement of both interpreting services and uniform. Locally Simon represents the force on the Strategic Partnership Board along with partners and is chair of the multi-agency Local Resilience Forum. 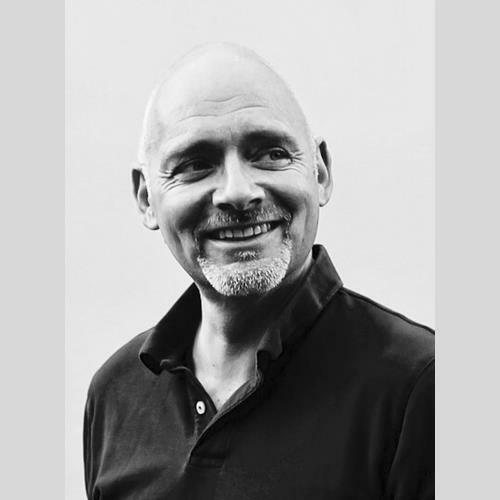 Simon has a BA (Hons) in English Literature from the University of Durham, an MA in History from University College, Worcester, and a Diploma in Criminology and Policing from Cambridge University. In 2014 Simon was awarded both the Queen's Police Medal and an Honorary Doctor of Arts by De Montfort University. Chief Constable Dee Collins has been a police officer for 30 years, the majority of which has been in uniformed operational roles. 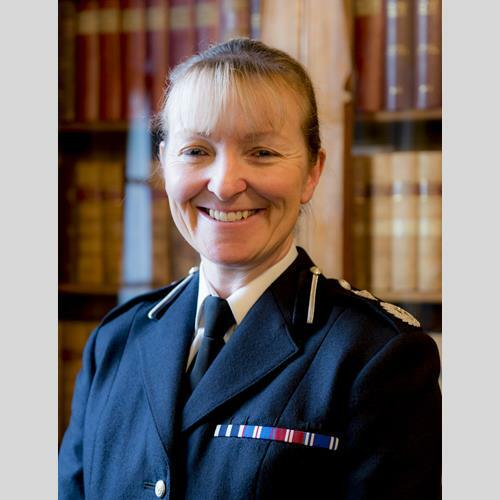 She joined West Yorkshire Police as Deputy Chief Constable in January 2014 from Derbyshire Constabulary with responsibility for Corporate Services, Professional Standards and Force Performance. She is also a member of the National Workforce Development working group as the ACPO chief moderator for police promotion examination processes. Dee has recently joined the NPCC Equality, Diversity & HR Committee, taking on the National Lead for Gender. In 2013, Dee was awarded the Queen’s Police Medal for her contribution towards British Policing as well as the Annual Award for Mentoring by the British Association of Women in Policing (BAWP) and International Association of Women in Policing (IAWP). In 2015, Dee was honoured to be invited to become the President of BAWP and continues to be committed to further development of the role of women in policing. 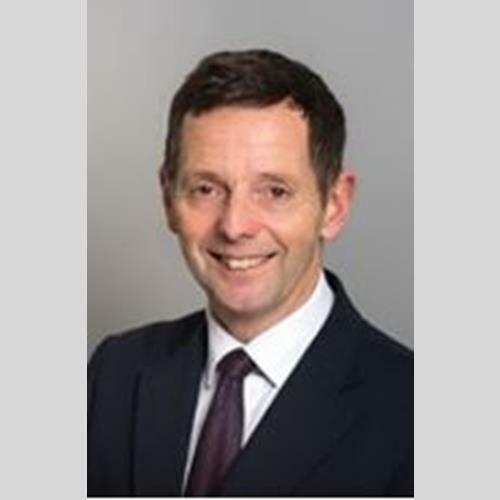 Philip was elected as Conservative Member of Parliament for Shipley in 2005 with a majority of 422 and was re-elected in 2010, 2015, and 2017 with a 51.3% share of the vote. 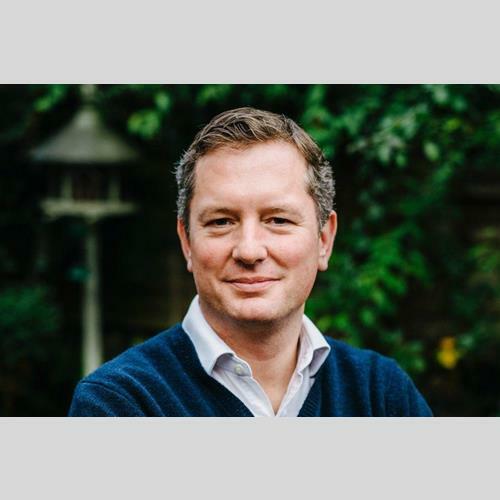 Following nine years on the Culture, Media and Sport Select Committee, Philip has also sat on both the Justice Select Committee and is currently sitting on the Women and Equalities Select Committee. He is also on the panel of Chairs for Westminster Hall debates and the Committee stages of Bills. Philip became the first MP to publicly call for Britain to withdraw from the EU and launched the 'Better Off Out' campaign back in April 2006. He is also the Parliamentary Spokesman for the Campaign Against Political Correctness. Ché Donald has been a police officer since 2002, serving in Sussex as a uniformed frontline officer holding roles in response, neighbourhood policing, PSU (public support unit), CBRN (chemical, biological, radiological and nuclear), intelligence development and tutoring. His Federation career spans 12 years and includes representing members in matters ranging from low-level grievances to tribunals, hearings, court appearances and inquests. 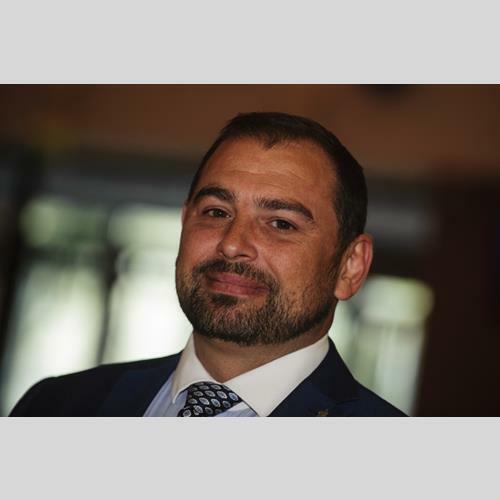 He joined the Interim National Board (INB) in October 2014 as a region 5 representative and was elected PFEW Vice-Chair in November 2017, taking office in January 2018. Ché champions the wider roll-out of Taser and spit and bite guards. He also leads on firearms and Post-Incident Procedures (PIPs). Ché speaks for the Federation on police officer mental health, working closely with the Welfare Support Programme (WSP) to drive this important area of work forward. He was instrumental in forming Police Association Strategic Leads (PASL) which sees representatives of the various national support organisations meet quarterly. Dr Joan Donnelly is the chief advisor to the General Secretary on police and public sector pay systems, and workforce statistical and labour market issues. 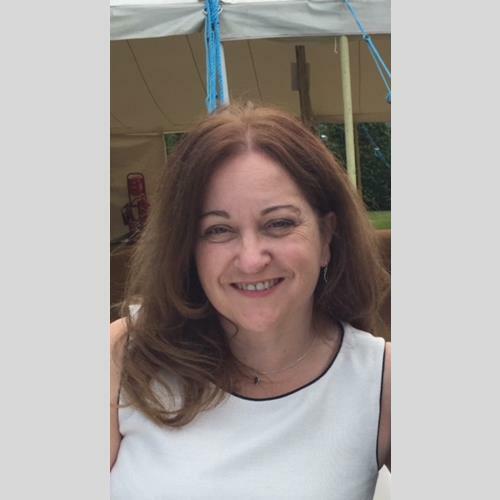 Joan has 30 years’ experience as a researcher, having previously worked as a Managing Consultant overseeing major programmes within the public sector. This included assessing and introducing significant change to Armed Forces’ pay and conditions, and designing assessment, development, and change programmes. Currently Joan provides analysis of, and options for policy positions on, all matters affecting the pay and conditions of service of police officers, and ensures support to the General Secretary in the process of negotiating and influencing. 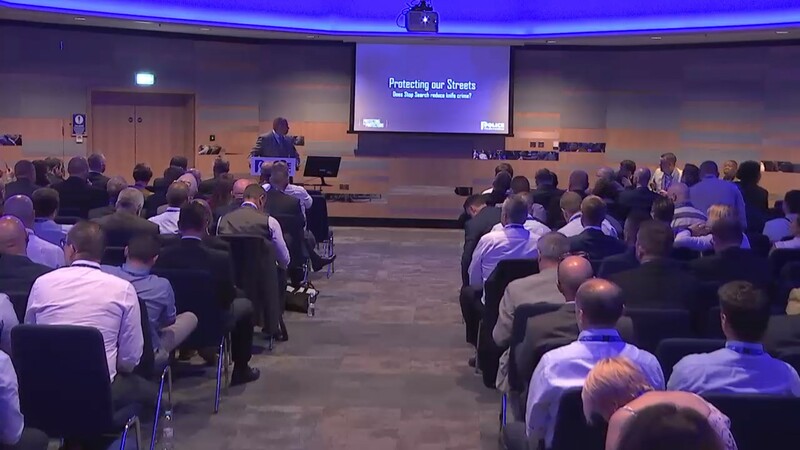 This includes the setting up of a strategic research programme to ensure that PFEW officers are supported in their interactions with key stakeholders by having the best possible data and research. Jack Dromey rose to prominence during the Grunwick strike in the 1970’s. He went on to be elected the Deputy General Secretary of the Transport & General Workers Union and then the Deputy General Secretary of Unite. After being elected as Member of Parliament for Birmingham Erdington in 2010 he was appointed Shadow Housing Minister. He was instrumental in shaping Labour’s policy to build 200,000 homes a year and transform the private rented sector. In 2013, Jack was appointed Shadow Policing Minster. In 2016 Jack was appointed Shadow Minister for Labour and in January 2018 was very pleased to become the Shadow Minister for Pensions. At the recent General Election Jack was returned as the Member of Parliament for Birmingham Erdington with an increased majority of over 7,000. 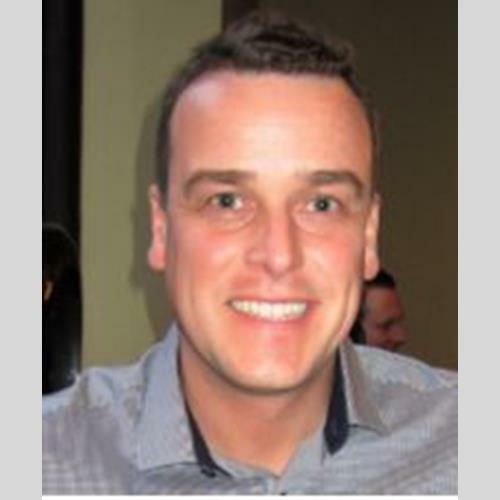 Rob Flanagan is innovation manager for Lancashire Constabulary and programme manager for Oscar Kilo since 2016. 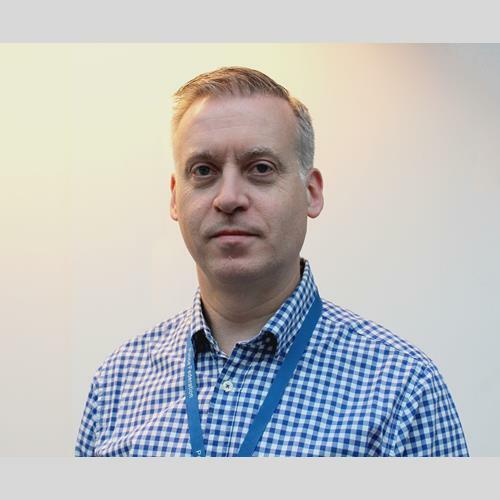 Rob owns the innovation strategy for Lancashire, working across a portfolio of projects within policing designed to apply practical creativity to improve products, services and processes across the organisation. Recent successes include the Lancashire forensic science academy and launching the UK’s first Amazon Alexa policing skill. Andy Fittes joined the Metropolitan Police in 1987 as a constable working in the east end of London. In 1996, Andy was promoted to sergeant and three years later he became a Federation representative. 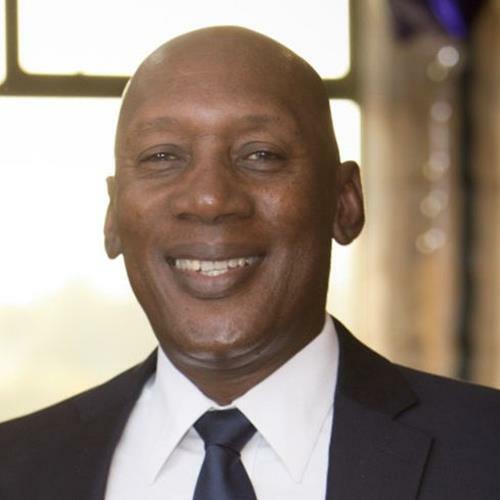 In 2011 he became the chair of the metropolitan Sergeants Branch Board (SBB) where he became the lead for the Metropolitan Police Federation (MPF) on promotion matters. Andy has represented officers at all levels of performance and believes that representation is fundamental to the service provided to Federation members. In 2013, Andy become a member of the Joint Central Committee or JCC (now known as the Interim National Board since June 2014) and in May that year was elected as the Sergeant Central Committee (SCC) deputy general secretary. 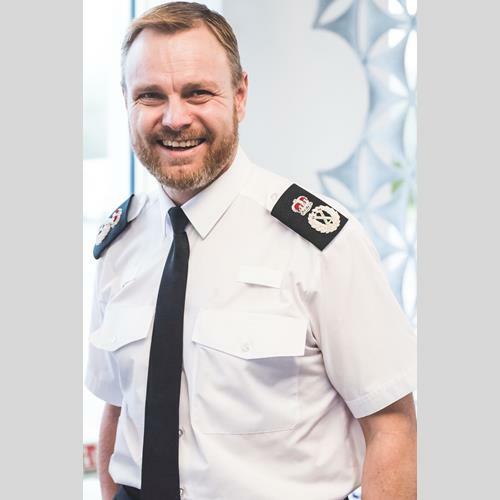 Andy became General Secretary of the SCC and later became the chair of the Professional Development Sub-Committee and the Special Constabulary Working Group, while also sitting on the Operational Policing and Professional Standards Sub-Committees. Andy has been General Secretary since 2014. 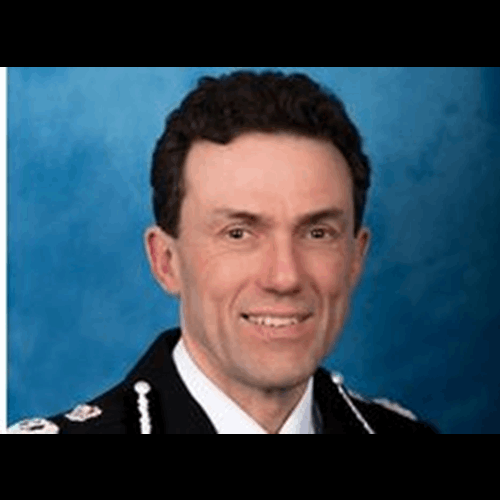 In April 2015 Francis Habgood was appointed as Chief Constable of Thames Valley Police. Francis joined West Yorkshire Police in 1987 where he worked in Leeds for the first few years of his service. He spent seventeen years with West Yorkshire covering a variety of operational roles before joining Thames Valley Police in 2004. 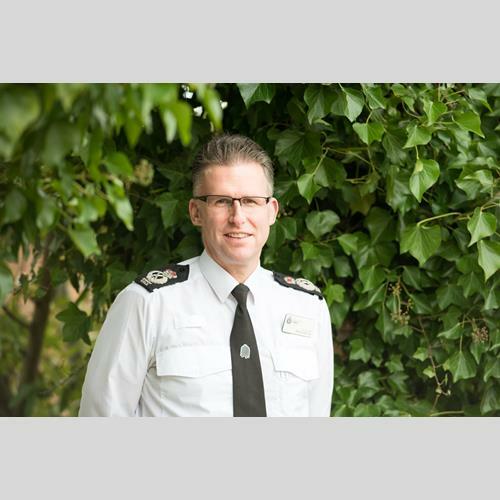 Over the next five years he completed all three Assistant Chief Constable portfolios and during this time he also spent three months helping to train future Chief Officers as a syndicate director on the Strategic Command Course. In 2008 he was promoted to Deputy Chief Constable and in 2015 to Chief Constable. Ron Hogg is a British politician and former police officer. He started working life as a teacher, and prior to his current role, he spent 4 years working in Children’s Safeguarding in Sunderland. The intervening 30 years were spent working in four different police forces, including Northumbria and Cleveland, and five years in Durham Constabulary as Assistant Chief Constable. In November 2012, he took up his post as the Labour Durham Police and Crime Commissioner and was then re-elected on 6 May 2016. 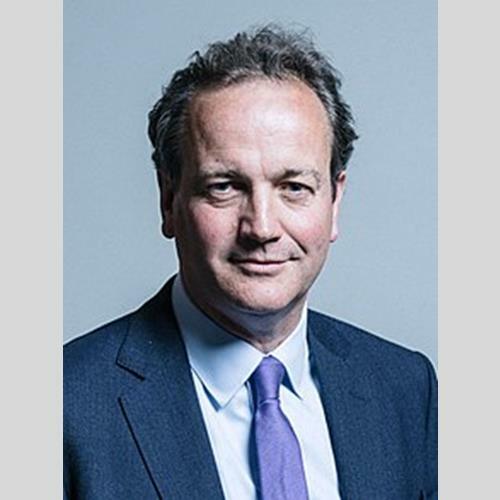 Nick Hurd was appointed Minister of State at the Home Office on 12 June 2017. He was elected Conservative MP for Ruislip, Northwood and Pinner in May 2010. Nick served as the Minister for Civil Society from May 2010 until July 2014. He was a Minister in the Department for International Development from November 2015 until July 2016, where his portfolio included climate/environment, and leadership of the Energy Africa campaign. Before entering Government, Nick was a member of the Environment Audit Select Committee and led work on climate change policy for the Conservative Party Quality of Life Policy Group, chaired by Lord Deben. He served on the House Of Commons Climate Change Bill Committee and the Joint Committee on the Draft Climate Change Bill. He was a member of the Globe International Parliamentary network for Climate Change and sponsored the Sustainable Communities Act as a Private Members Bill. Dr Paul Jackson is a psychologist specialising in human performance and the impairment that results from fatigue, drugs and alcohol. He is Head of Impairment Research at TRL, where he is responsible for research into the effects of all forms of driver impairment (e.g. fatigue, drugs, alcohol, distraction, ageing, mental health difficulties). 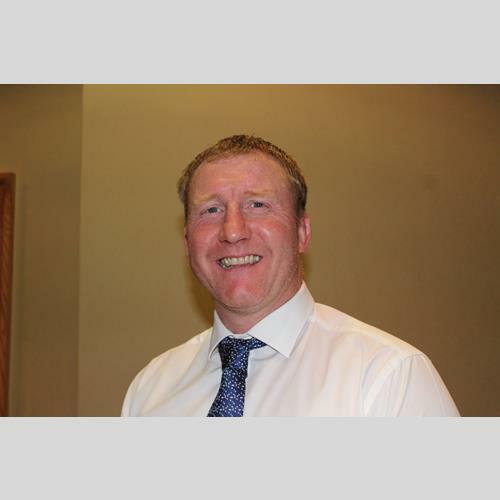 Paul specialises in helping organisations to manage fatigue risk and has worked for clients in the aviation, road distribution and petrochemical industries, as well as the emergency services. He is also interested in the potential effects on driver safety of new in-vehicle technologies, and the issues surrounding human interactions with autonomous vehicles (AVs), both as a driver of these vehicles and as the driver of a normal vehicle interacting with AVs. Matt joined South Yorkshire Police in 1995 as a police constable on the streets of Sheffield, soon after being commended for his tenacity and courage in the arrest of a suspect following a post office robbery. Between 1997 and 2006, Matt went on to work in a number of roles, principally as a detective. In his early CID career he was involved in operations to tackle violent drugs gangs and later specialised in counter terrorism. He worked for the forerunner of the National Counter Terrorism Policing network and represented United Kingdom policing at G8 meetings in the United States in 2004. 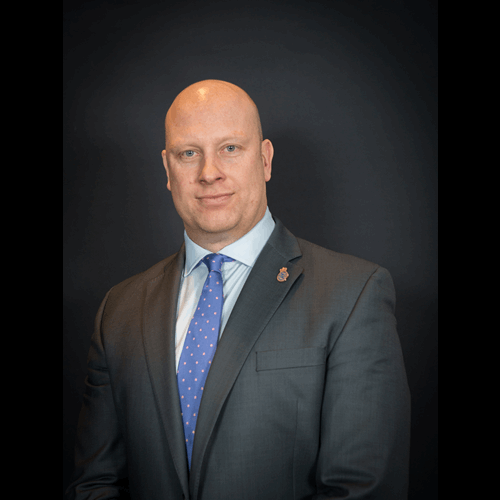 Matt remains involved strategically in counter terrorism and has had a leading role in a number of high profile operations across England and Wales. 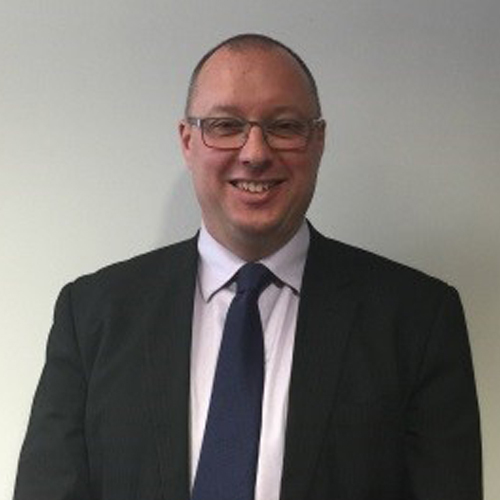 Matt leads on a number of portfolios for the National Police Chiefs’ Council, including the recruitment, retention and wellbeing of investigators. 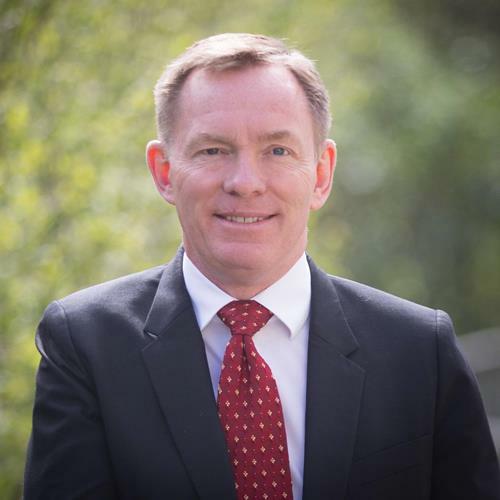 Before joining the IOPC, Michael was Chief Executive of the London Borough of Harrow becoming the first District Chief Executive to make the jump straight to Chief Executive of a London Borough. While Michael was at the helm of Harrow Council, it made vast improvements in performance and financial position. Before this, Michael was Chief Executive of Elmbridge Borough Council for eight years. Michael has also worked at the Local Government Association (LGA) as Executive Director for Local Government Finance and Policy. 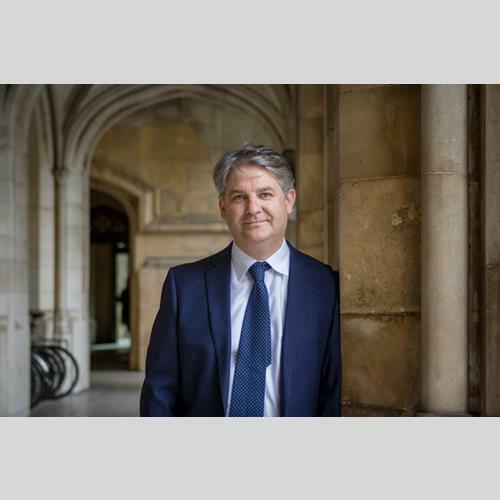 He led a team of specialists, advising the LGA Executive and lobbying central Government on a wide range of local government finance and policy issues. 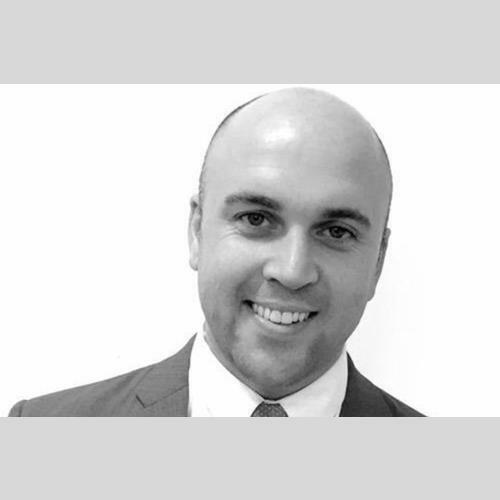 A qualified CIPFA accountant with a background in audit and a wealth of experience across public and private sectors, Michael has worked in central Government at the National Audit Office and in the private sector at PricewaterhouseCoopers. 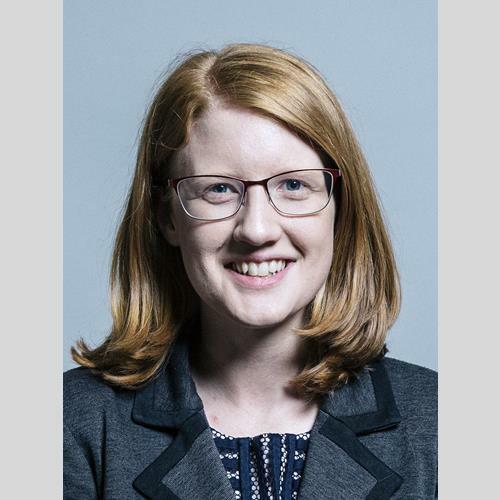 Holly Lynch, Labour MP for Halifax, has been a strong voice for policing issues in Parliament since her election in 2015. Having started the Protect the Protectors campaign, she has been instrumental in lobbying MPs from all parties to support the Protect the Protectors Bill. She got involved after going out on patrol with a local West Yorkshire officer and ended up calling 999 for back up after they were surrounded by a group of individuals after pulling over a car. The Bill, having received Government support, is currently going through Parliament and should pass into law later this year. Calum Macleod has been a police officer for 22 years, the first six of which was spent in the service of Strathclyde Police and the remainder with South Wales Police. He worked predominantly as a response officer, but also as a tutor constable and officer safety trainer. He also spent time in crime management and community policing in Cardiff before returning to response on promotion in 1997. The vast majority of his service has been in front line operational duties. Calum became involved in the Police Federation in 2011 and stood for election as Sergeantsâ?? Representative for Cardiff. He quickly became equality lead for the Joint Branch Board and then Chair of the Sergeantsâ?? Board. He has also held the position of Regional Chair for Wales. Calum was General Secretary and Treasurer for the Sergeantsâ?? Central Committee from May 2014 until his appointment as Vice Chair of the Police Federation of England and Wales in April 2016. 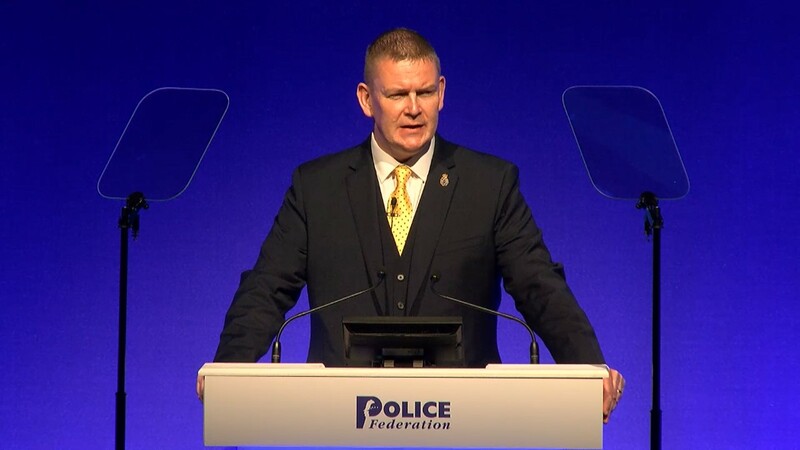 In January 2018 he took up his current role as Chair of the Police Federation of England and Wales, pledging a renewed focus on the needs of the membership. A Nottinghamshire officer since 1992 he became a member of the Interim National Board in 2015. 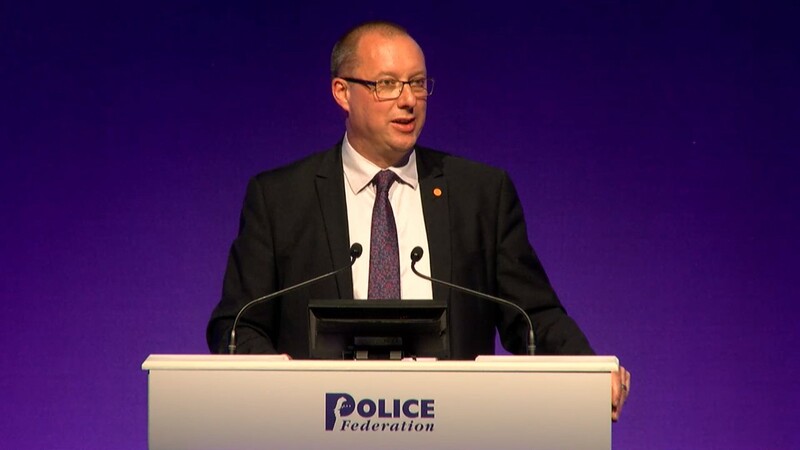 Phill is the current Chair of PFEW’s Conduct and performance sub-committee and leads on discipline for the federation, negotiating on its behalf with NPCC, IOPC and the Home Office. 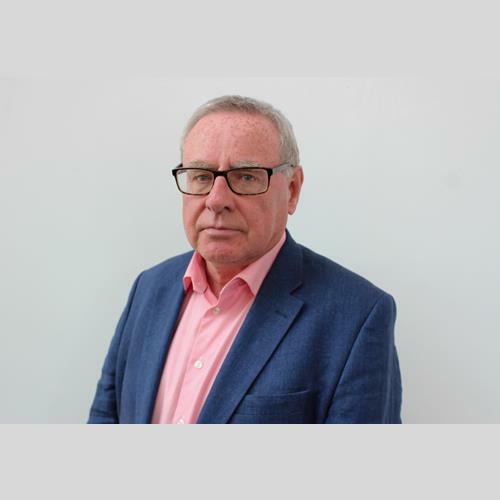 Before becoming a full time member of the National Board he spent five years as the Chairman of Nottinghamshire Joint Branch Board and its conduct and performance lead representing officers accused of misconduct and criminality. Still an active Discipline rep he regularly represents officers in more serious investigations investigated by PSD’s and the IOPC. Jim McAuslan was the elected General Secretary for the British Airline Pilots’ Association (BALPA) from 2002 until his retirement in 2016, where he led a major rethink of BALPA’s governance structures, established respectful relationships with airline CEOs, civil servants and Ministers, fronted BALPA’s presence in the media as a mature contributor, and led pay negotiations in 25 separate airlines. Jim began his career in the Inland Revenue, with postings in Doncaster, Leeds and Luton before a promotion to Head Office. In 1984, Jim opted to become a union employee responsible for training local representatives in the UK’s 600 tax offices and he was subsequently promoted Deputy General Secretary responsible for negotiating pay with the Treasury. Following union mergers, Jim led a team of negotiators covering a range of government departments and campaigning on civil service-wide issues. Jim remains non-executive Chairman of BALPA Financial Solutions and is a trustee of Nautilus – the union for merchant navy officers. Before joining the MCB, Amanda worked for the Muslim Council of Wales as Administrative Executive and Media Liaison. As a volunteer, she formerly held the position of National Head of Women’s Engagement at MEND, and was also Chair of the Cardiff working group. 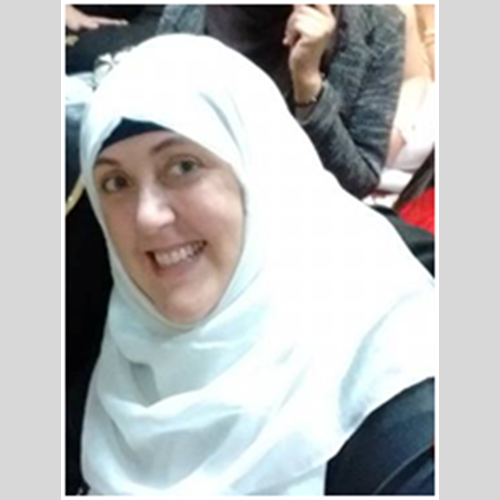 Amanda has an MA in Islam in Contemporary Britain from Cardiff University, and also holds an MA in Japanese Applied Linguistics from SOAS. In her spare time she runs a support group for New Muslims in her local mosque. Tim Packham joined Kent Police in 1990. As a Constable, he served three years at Ashford before transferring to a Sub-divisional traffic unit in Gravesend. In 1997 he moved to the county’s traffic department and qualified as a Senior Investigating Officer for serious and fatal road collisions. He is an Advanced Police Driver and an Advanced Police Motorcyclist. Tim was promoted to Sergeant in 2004 where he again served in the north of the county at Gravesend in patrol, custody and neighbourhood policing duties, and was elected as a Federation Representative two years later. As an Inspector, he performed Citizen Focus, Response, and most recently Force Control Room duties before taking up a full-time Federation role. 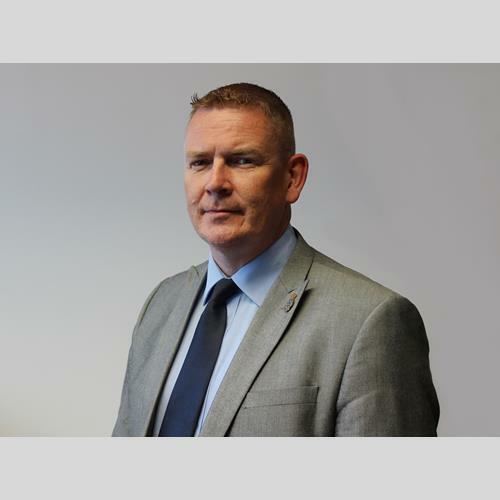 Tim’s National Federation career began in 2015 – he is the Secretary of the Legislation sub-committee and sits on the Health and Safety and Ops Policing Sub-committees. Tim has represented members at all levels of Police Discipline and Police Medical Appeal Boards. Tim was elected as PFEW Treasurer in July 2017. He works with the Finance Director to ensure that the Police Federation of England and Wales maintains a robust and balanced financial position. 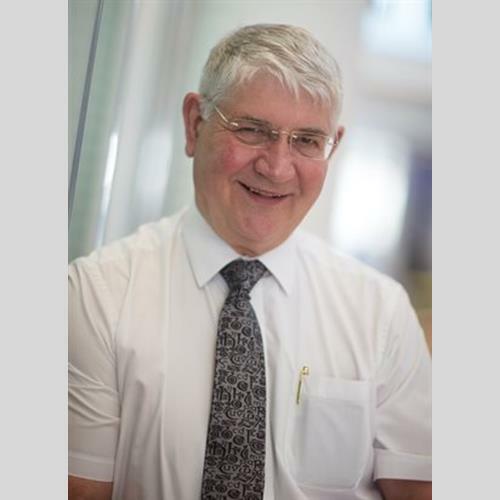 Roger is the current Vice Chair of the Society of Evidence Based Policing, Police Inspector with Greater Manchester Police and Visiting Scholar at the University of Cambridge. 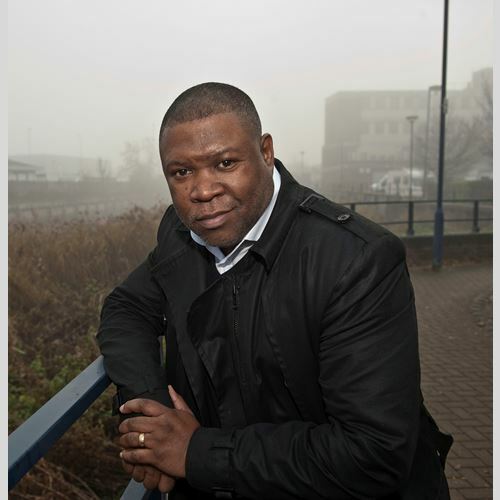 He is a passionate advocate and international public speaker on the topic of using research in policing to make informed decisions. 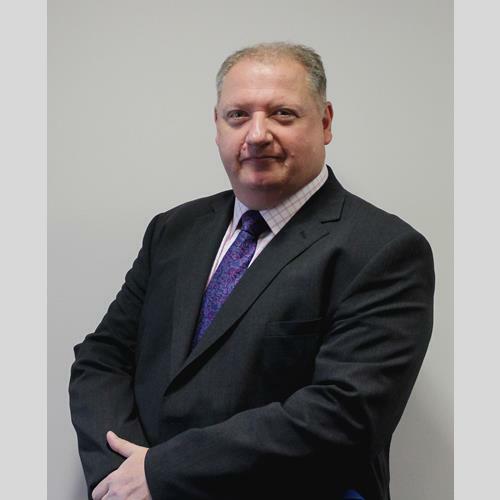 Roger has a wealth of experience in numerous operational and strategic roles, particularly in the area of complex investigation, cyber-crime, public order, organisational restructuring and police education. Rogerâ? ?s research has mainly focussed on the implementation and tracking of policing experiments. In 2016 Roger was commended by the College of Policing for his â? ?creating a culture of curiosityâ?? seminars and his work in embedding evidence based practice in policing, which was described as â??transformationalâ??. Martin joined Cumbria Police in 1989 working uniform patrol in South Cumbria. After a stint on a firearms team Martin became a Detective in 1999, and after a three-year secondment with NCIS in London, returned to Cumbria to work in intelligence then counter terrorism. At this time Martin also became a Detectives Fed rep.
Martin joined the ranks of the PFNDF over 13 years ago representing Detectives locally, regionally and nationally. He has witnessed the PFNDF become the respected entity it is today, being recognised by government, police chiefs and influencers at the highest level. 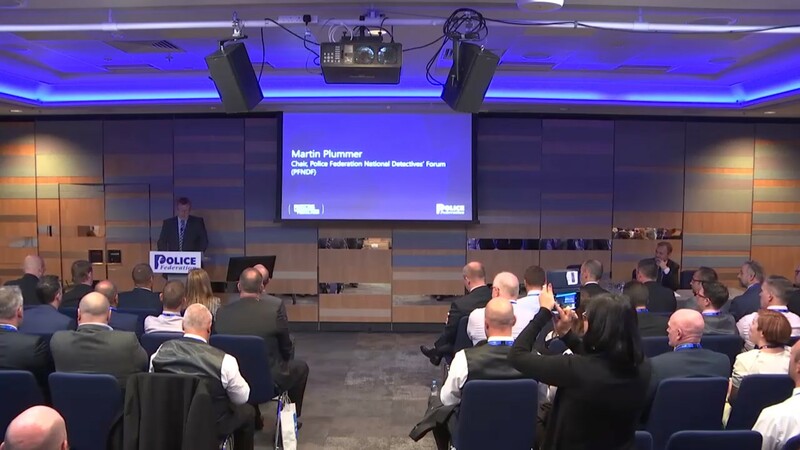 In light of the systematic dismantling of police services by the current government and resulting detectives’ resilience crisis, there has never been a more important time for everyone involved with the PFNDF – Martin considers it a privilege to represent Detectives as their PFNDF Chairman. Andy is a former Detective Chief Inspector in the MET, who spent many years specialising in major crime, which included Drug Squad, Homicide Task Force and Trident. Upon retirement in 2009 he took the role of Operations Manager for Capital Conflict Management, who specialise in high risk conflict management. He was instrumental in writing the policies and forming the foundation for the professionalism upon which CCM now stands. He has built a strong core of Conflict Management Specialists and has detailed knowledge of the cases both in the stages of the mediation process, and when to help mediators ‘unstick’ or close a case. Andy has Identified CMS learning needs and has made recommendations on how these are addressed, he was instrumental in designing the training programs for the CCM academy and is part of the training team. In 2012, Andy became the Chief executive of CCM a position he has held to date. Nick Smart joined West Yorkshire Police in 1995, working in Leeds city centre. He has also worked in North Yorkshire Police before returning to West Yorkshire in 2006. He has performed a number of frontline and specialist uniformed roles, as a constable, sergeant and inspector. Currently Nick is a Chief Inspector, Silver Public Order and Silver Firearms Commander. Nickâ? ?s background and experience has enabled him to maintain links with operational colleagues. 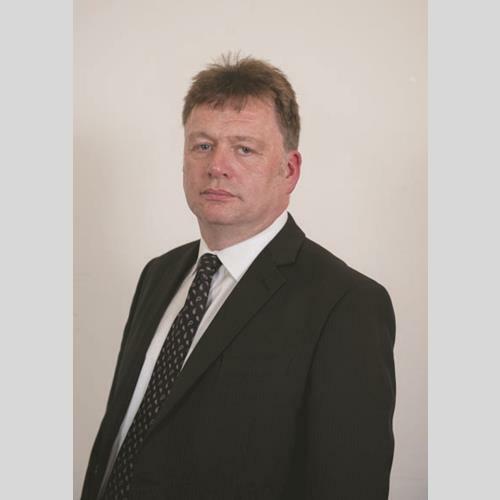 Nick has been the Chairman of the West Yorkshire Police Federation since 2014, and sits on the national Parliamentary Working Group. Nick has been instrumental in lobbying parliamentary support for the Protect the Protectors campaign, supporting officers locally and nationally who have been subjected to an assault whilst on duty. 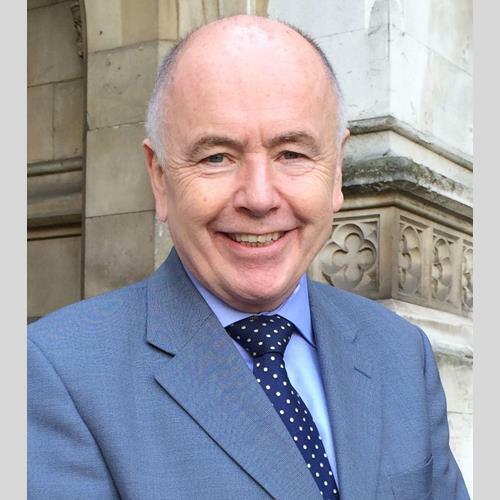 Nick has successfully lobbied cross-party party parliamentary support to help give police officers and other emergency service workers the recognition they deserve for the risks they take to protect the public. John is a married father of three, who lives with his wife and children in South London. He served as a Metropolitan Police Officer for more than 25 years, until his retirement in February 2018. Having won the Baton of Honour as the outstanding recruit in his training school intake, he rose through the ranks to become a highly respected senior officer. During the course of his career, he worked in a wide variety of roles at Scotland Yard and in seven different London Boroughs. His last operational posting was as the Borough Commander for Southwark. John has written a book that tells the stories of his policing life. 'Blue: A Memoir' is published by Weidenfeld & Nicolson and is a Sunday Times bestseller. Sheldon is a former gang member and founded Gangsline, which is a non-profit organisation, in 2007 to provide help and support to young men and women involved in gang culture. Sheldon and his team work with individuals from the deprived parts of our communities and with deeply entrenched social, educational, spiritual and family issues. 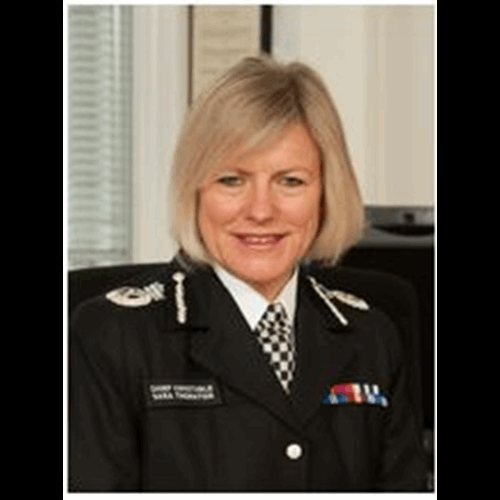 Sara joined the Metropolitan Police Service in 1986 and over the next fifteen years her career alternated between operational postings in West London and strategic roles within New Scotland Yard. She served with Thames Valley Police as Assistant Chief Constable, Deputy Chief Constable and Acting Chief Constable before holding the role of Chief Constable for eight years until March 2015. Thea Walton has been at the IOPC for five years, first as Head of Casework â?? running the team dealing with appeals and referrals, then as Head of Knowledge and Oversight. This role set up the Force Liaison and Oversight function â?? leading work with forces relating to public confidence in the complaints system. Before joining the IOPC, Thea was the Deputy Prisons and Probation Ombudsman in charge of investigating deaths in prison and immigration custody. Sir Thomas graduated from the University of Edinburgh in 1979 and is a lawyer admitted to practise in both Scotland and England and Wales. Between October 2010 and March 2012, Sir Thomas carried out a review of the pay and conditions of service of police officers and police staff in England and Wales. The review was carried out at the request of the Home Secretary and was the most comprehensive for more than 30 years. Legislation to implement a significant proportion of Sir Thomas’s recommendations was passed in March 2014.